Some people start a new blog when they think that they can increase the traffic of your blog through tricks & hacks, and many websites also promise free traffic for this. Even when I started my first blog on blogspot, I started searching for a trick similar to that. To some extent, I increased my blog traffic, but this was my biggest mistake in my blogging carrier. So that's why I'm going to tell you today that you should not use easyhits4U.com, 10khits.com, like free traffic exchanger websites. You will also feel great about hearing about free traffic. Who does not want to increase the traffic of your blog. But first you understand what is the Traffic Exchange Program. The Traffic Exchange Program is such a method through which you can get a lot of free traffic on your blog, without doing any hard work. First you will sign up for free traffic exchanger. After that you have to earn some points, which are found only by opening other blogs. The points you earn will be used to increase your traffic. When your points are over, you will have to earn them again. These processes run continuously and you increase the views of other blogs, and others will see your blog's view. In simple words, you become part of an ASe program in which you will get views for views. Its simple and straightforward answer is not at all. Adsense is very strict ad network. If you think that you can earn a lot of money with Adsense and Traffic Exchange, then this is your fault. Adsense has already made it clear in its terms & conditions that they do not allow the traffic exchange program at all. Adsense has said in its terms & conditions that they do not recommend Traffic exchanger. And if you are earning a thing like Adsense will find that your ads impression is invalid, then Google Adsense will close your account. Adsense is strictly against the increased traffic through third-party apps. You know how difficult it is to get an account from Google Adsense. 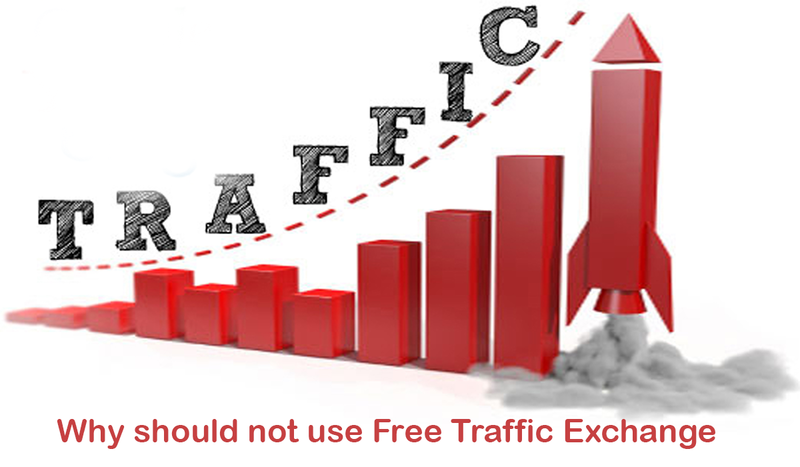 If you do not want your account to close, then use the traffic exchanger. Free Traffic Exchanger There are many other reasons to use that will tell you right away, but before that let me also tell you that many programs offer to their clients, that you get so many people and get free points. They want to tell them not to take other new bloggers along with these free programs. Because new bloggers are quickly stuck in such programs. 1.You will get free views but you will not get permanent readers. People who visit your blog will only view and cancel it, due to which it becomes very difficult to get original readership. Those who come to the thorugh of the traffic exchanger will not have any interest in getting your articles. They do not care what their post has done. They will ignore your hard work, which is a big deal for the blogger. 2.About Bounce Rate, you must know how long the visitor is on your blog. If he stays for a while, your bounce rate will increase, which is not good for any professional blogger. Due to the higher Bounce rate, the ranking of your blog can also make a difference. The reader who came through the traffic exchanger will leave your blog in a few seconds for another blog, without having to open any page. So these were some reasons to use the traffic exchanger, if you have any question related to the traffic exchange program, then you can ask in the comment box without delay. Share this article with Facebook, Twitter, with new bloggers so that they remain alert from such programs. If any of your friends are of such type of article, then do not forget to share this article with Facebook, Twitter, and Google Plus. Google penalizes us if we buy traffic.